A tall growing bush rose, also available as a standard and as a climbing rose it is versatile and hardy. As this is a rather vigorous grower it is best grown towards the back of the garden border. 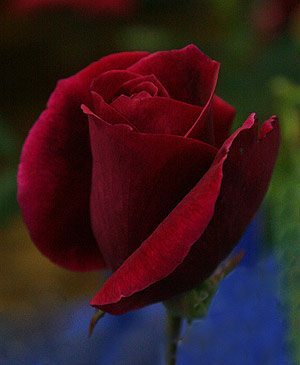 Bred in the United States in 1964, and named after President Lincoln this is a rose that has proved itself over 60 years. It is a thorny rose and also tall growing, so a spot away from pathways is suggested. Not to far back in the border as you will want to pick these wonderful red roses for cut flowers. Mr Lincoln is a rose that grows well both in the ground as well as in containers. It is naturally a tall and vigorous growing rose and can reach nearly 2 metres ( 6ft) in height. Best in a humus rich well drained soil. Plant and stake the rose. It is easy to prune and to keep it in good shape we suggest that you prune back by 1/3 after removing old and dead wood. Name – Mr Lincoln Rose. Rose Type – Hybrid Tea. Breeding – 1964 in the USA by Swim & Weeks. Height – To nearly 2 metres. Fragrance – Yes, highly fragrant. Thorns – Yes, largish thorns. Cut Flowers – With strong stems Mr Lincoln Rose is well suited for cut flowers.